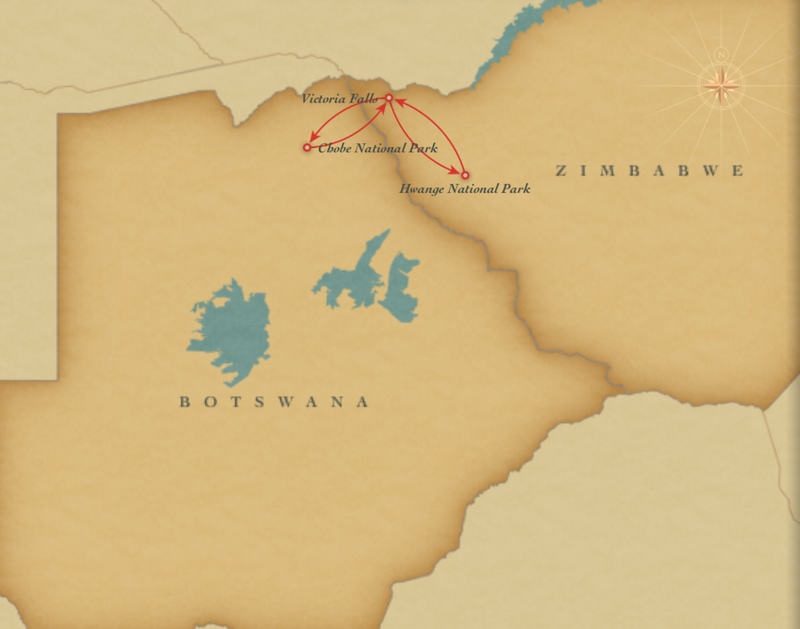 Hwange Park is home to one of the largest elephant populations in Africa, hosting thousands of elephants. Vast herds of buffalo and zebra also roam the park, as well as a very high concentration of giraffes. Hwange is home to many predators, including hyena and cheetah, and lions are commonly sighted on game drives. The Victoria Falls – Now in it’s 150 millionth fantastic year - Reaches Its zenith in about May each year. It’s a truly awe-inspiring experience – the sight, the sound, the smell; the humbling feeling that here indeed is Nature’s Supreme Masterpiece. No photograph can begin to depict the reality…and nothing prepares you for your first sight. Return to Victoria Falls airport for your flight back to the USA!